Here at Modchip Central, we value our customers. Anyone can run a website and undercut you but what differentiates us from other stores is our dedicated support! We spend a lot of time every day answering e-mails so we can guarantee our customers great after-support. We will not leave you high and dry after your order is made! WE SHIP DIRECTLY FROM OUR COMPANY TO YOU! NOT FROM ASIA LIKE SOME OTHER RESELLERS! 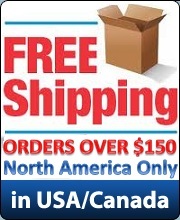 We ship WORLDWIDE so you can order from anywhere in the world. WARRANTY: ALL products listed come with a manufacturer's warranty and our guarantee that it will work. Or you can have it exchanged / replaced for a working product of equal value!